ProArt™ PA329Q has a wide color gamut so you have an entire spectrum of colors to play with. The use of 3M™ Quantum Dot Enhancement Film (QDEF) provides a wide color range, allowing PA329Q to support 100% Rec. 709, 100% sRGB, 99.5% Adobe RGB, 90% DCI-P3, and Rec. 2020 color spaces for video editing and production. On top of that, IPS display technology gives you wide viewing angles so there’s no color shift, even when you’re viewing PA329Q from extreme positions. Whether you’re using a desktop, laptop, or Mac, ASUS ProArt™ Calibration Technology offers color accuracy tuning and uniformity compensation to make things easy when it’s time to recalibrate your display’s brightness and color consistency. It features a 32-inch 4K UHD (3840 x 2160) panel with 138 pixels per inch (PPI) to give you four times the pixel density and up to 300% more onscreen space than similarly-sized Full HD displays. This means you get to enjoy sharp, detailed visuals – perfect for editing 4K UHD photos and videos. On top of that, more onscreen space for multitasking so you get more things done quickly. 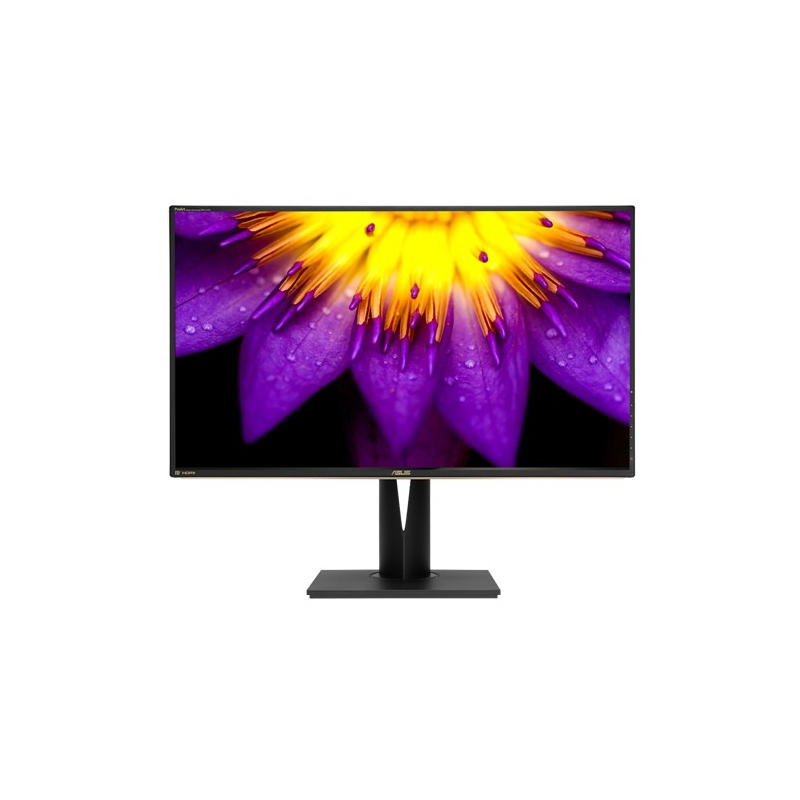 PA329Q features an array of connectivity options and supports 4K UHD content playback at 60Hz via DisplayPort 1.2, mini DisplayPort 1.2, and its four HDMI (v2.0)* ports. In addition, you’re offered five USB 3.0 ports and a 9-in-1 card reader for your memory cards, peripherals, and various devices. *HDMI (v2.0) ports provide HDCP 2.2 copy protection. Save time and work smarter with ASUS QuickFit Virtual Scale. It provides you with an onscreen grid overlay so you can align and preview documents in their actual sizes prior to printing. There’s also an intuitive 5-way navigation joystick so you can easily access and switch OSD settings on the onscreen menu. It’s time to say goodbye to those tired, strained eyes. ProArt™ PA329Q features TÜV Rheinland-certified ASUS Flicker-Free technology to reduce flicker for a comfortable viewing experience. This technology helps minimize instances of eyestrain and other damaging ailments, especially when you spend long, countless hours in front of a display watching favorite videos. With ProArt™ PA329Q, a comfortable viewing position is always within reach thanks to its slim profile and ergonomically-designed stand with tilt, swivel, pivot, and height adjustments. It’s versatile too, the Auto Rotation function adjusts the orientation of the content when you pivot the display into Portrait mode – handy when working with websites or longer documents.